Juan Manuel Siles is a Director at Accuracy. He has over 14 years of experience providing support and advice to clients in transactions, carve outs, strategic decision making, disputes and fraud investigations. Juan Manuel joined Accuracy in 2010, having previously worked in the audit and transaction service departments of both KPMG and Deloitte. Juan Manuel has expertise in both litigation/arbitration situations and also performing financial and operational reviews, in restructuring and insolvency procedures. 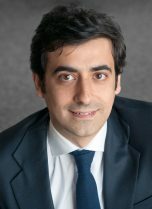 He specialises in the quantification of damages and analysis of disputes from economic and financial positions. He has been involved in cases covering a variety of situations and industrial sectors. Juan Manuel has also experience in transaction advisory services for both strategic and financial investors in domestic and cross – border transactions. Further, he has carried out joint venture audit engagements throughout the Caribbean and South America. Juan Manuel speaks Spanish and English. Juan Manuel has experience in financial assistance in litigation situations, as well as fraud investigations and consequential damages calculations, among others. His areas of particular expertise include underperforming business reviews, operational and financial corporate restructuring and insolvency practice. Juan Manuel has also managed many financial due diligence, valuation, business plan, restructuring, advisory assignments and M&A transactions. Juan Manuel has been involved in a wide range of transaction operations, restructuring and insolvency assignments in Spain and other countries including Colombia, Venezuela, Peru and Trinidad. Financial in depth reviews of numerous Oil & Gas upstream projects in Latin America (Colombia, Peru, Venezuela, Trinidad) in exploration, construction, and production phase; onshore and offshore. Debt refinancing projects in different sectors: construction, alimentation and automotive. Buy-Side Due Diligence for a French Water & Utilities company: modelisation and valuation of several concessions in Spain. Several sell and buy-side due diligences on different groups of companies within the renewable energy sector for both corporates and financial investors. Sell-side assistance to a French REITs company in the disposal of 127 shopping malls in France, Spain and Italy (over €1.5bn of asset value). Technical expert report and assistance to the financial expert in a dispute between a real estate company and its former Management. Technical expert report and assistance to the financial expert in a dispute between a wind turbine manufacturer and the renewal energy promoter caused by a breach of a contract. Estimate of consequential and direct damages from earnings loss resulting from the termination of an exclusive representation contract in the pharmaceutical sector in Spain. Technical expert report and assistance to the financial expert in a dispute between two household cleaning producers for patent infringement. Estimate of consequential and direct damages and sensitivity analysis. Technical expert report in a dispute between private investors and a bank. Estimate of consequential and direct damages. Technical expert report to assess the losses and lost profits caused by a breach of contract for a construction company.